A gift annuity provides both a gift to the Foundation and guaranteed payments for life for you or your spouse. The annuity rates depend on your age, but they will usually be higher than G.I.C. interest. Part of your annuity payments (sometimes all of it) is tax-free. Every donor receives a donation receipt for part of their contribution. The PPCLI Foundation, as a public foundation, does not qualify to issue self-insured annuities. Charitable foundations cannot enter into arrangements to issue annuities since an undertaking to make an annuity payment is considered a debt, which is a ground for revocation of its charitable status. However, should you wish to consider a Gift Plus (reinsured) annuity, the Foundation will use part of your gift to purchase from a licensed insurance company an annuity that will pay the guaranteed amount agreed between you and the Foundation. The balance of your contribution, after purchasing the annuity, will be retained by the Foundation to accumulate for the For the Soldier Legacy Fund endowment, as you may choose to direct. A gift annuity brings a special bonus at tax time, because a sizeable portion of the payments will be tax-free. While older annuitants will receive payments that are totally tax-free, all donors are entitled to a donation receipt that will result in a tax credit. A widow, age 78, contributes $10,000 for a Gift Plus (reinsured) annuity to honour her late husband who served in the PPCLI for more than 30 years. $7,500 is used to purchase the annuity and $2,500 is an immediate cash donation to the Foundation. She receives a lifetime annuity of almost $600 (8%) each year, of which 92% is paid out tax-free. She is also entitled to an immediate donation receipt for $2,500. Upon request, the Foundation will provide a personalized illustration showing the amount of payments you would receive from a certain contribution and how those payments would be taxed. That’s how a 75-year-old individual can make a substantial gift to a charity and actually increase her cash flow. She funds her gift annuity with $25,000 from a GIC and receives guaranteed annuity payments that are significantly higher than the interest she has been receiving from her GIC. What’s more, in her case, those payments are largely tax-free! Some Canadian charities (charitable organizations, but not public or private charitable foundations) have been issuing gift annuities for many years. They invest the donated assets and use the earnings on the assets, and the capital if necessary, to make the annuity payments. Whatever portion of the donated assets remains at the death of the donor or other beneficiary is used for charitable purposes. These charities are said to self-insure their gift annuities. However, most charities in Canada do not self-insure their gift annuities. Instead they reinsure their gift annuities. This means that they use a portion of the donation to purchase an annuity from a commercial insurance company that pays the amount promised to the donor. The Foundation/charity retains the balance of the donation and can either use it now or let it grow in an endowment for a number of years. If it is invested in the endowment, by the end of the donor’s life it will often have reached or exceeded the value of the original donation. Then it can be continued as a perpetual endowment in the donor’s name. The Canada Revenue Agency has recently stated that the implications for the donor are the same whether the charity self-insures or reinsures. The tax benefits are explained below. To establish a gift annuity, you and a representative of the Foundation, through a reinsurer, sign an agreement specifying the beneficiaries, the annual payment amount, and the starting date and frequency of the payments. The agreement may also specify the purpose for which your gift will be used. Gift annuity donors normally name themselves as annuity income beneficiaries, individually or as a couple, although a relative or friend could be named as well. A gift annuity may be established for a specified term of years instead of one or two lives, although this is rarely done. You might want to contribute surplus cash in a chequing account or money market fund, or a maturing GIC or bond. Payments from a gift annuity will usually exceed the interest you are receiving, resulting in increased cash flow. In any case, do bear in mind that your gift annuity arrangement is irrevocable and the principal cannot be returned. Therefore, you should always retain sufficient capital to meet unforeseen needs. The amount of the annual payments will depend on the amount transferred, the ages of the beneficiary(ies) (or annuity term), and the annuity rate schedule in effect at the time of the gift. Once the annuity is established, the payments will remain fixed, regardless of changes in the economy. This makes the gift annuity especially attractive to older donors who like the security of fixed, guaranteed payments. The annuity agreement will also specify how often payments are to be made and when they are to begin. Those who wish may have the payments made directly to their bank account. The older the beneficiary(ies) when the contribution for a gift annuity is made, the higher the payments will be. For example, a 75-year-old donor who contributes $10,000 would receive larger payments than a 65-year-old donor who also contributes $10,000. That is because the 75-year-old has a shorter life expectancy, and hence payments will probably be made over fewer years. The annuity rates charities pay to donors of various ages periodically change depending on economic conditions. Generally, if interest rates rise, gift annuity rates will be increased, and if interest rates fall, gift annuity rates will be decreased. The annuity rates offered by insurance companies fluctuate in the same manner. Of course, the rate in effect when you fund your gift annuity will remain constant for the balance of your life. Once begun, your payments will neither increase nor decrease. You may detach, complete and return the coupon at the back of this paper and we will send you a financial illustration showing the annuity amount you would receive, based on our current gift annuity rate schedule and on your current age. Chances are you will discover that the gift annuity payments would be well above the interest you are currently earning on your investments. If you are concerned because declining interest rates have reduced your own income, a gift annuity could be just the thing to restore your cash flow to a level you want. The most notable tax benefit of a gift annuity is that the annuity payments will be largely or entirely tax-free. This means that your annuity payments have significantly more purchasing power than an equal amount of taxable income. Furthermore, tax-free annuity payments will not cause a reduction of Old Age Security (OAS) payments through the “clawback” tax. The amount of the tax-free portion depends on the rates in effect and on the age(s) of the annuitant(s) at the time the annuity is established. Consider the following examples, keeping in mind that the annuity rates cited are not necessarily the ones paid by the Foundation at the present time. These are illustrative rates to demonstrate the tax benefits. John and Sally M., ages 75 and 73, contribute $50,000 to a gift annuity reinsured through the Foundation, naming themselves as the beneficiaries. As long as either of them lives, they will receive payments of $3,350 per year (an annuity rate of 6.7 percent). Of this amount, 69.2 percent ($2,318) will be tax-free. If their marginal federal/provincial tax bracket is 50 percent, a fully taxable investment would have to yield approximately 9.26 percent to produce payments of equivalent after-tax value. They also receive a donation receipt of $12,420 in the year they make their gift, generating additional tax savings. In some situations, older donors will receive a donation receipt and fully tax-free income. Mildred R, who is 86 years old, contributes $20,000 to the Foundation for a gift annuity. Her annuity rate is 10.7 percent, so she receives fixed, guaranteed payments of $2,140 per year as long as she lives, entirely tax-free. She also receives a donation receipt for $5,059. Because her marginal federal/provincial tax bracket is 46.4 percent, this can yield a tax credit of as much as $2,347 in the year of her gift, reducing the “net cost” of her annuity to $17,653 ($20,000 – 2,347). It’s your opportunity to make a generous gift to the Foundation and do yourself a favour at the same time! You have savings and investments, but interest rates fluctuate and sometimes your month-to-month income doesn’t keep pace with rising prices. What’s more, you know that your investments have to last your lifetime. It’s a dilemma, but there is good news: You may be able to make your gift and improve your cash flow at the same time. A gift annuity is an arrangement under which you make a contribution to a Foundation or charity and receive, in turn, guaranteed payments for life. The amount of these payments depends on your age and the size of your contribution, but they will likely be significantly higher than you are receiving from your present investments, and the annuity arrangement is guaranteed. It will continue as long as you live, no matter what happens to the economy or interest rates. If you are married, you may choose a joint-and-survivorship annuity which continues as long as either spouse lives. Your gift annuity brings you a special bonus at tax time: a sizeable portion of your payments will be tax-free. While older annuitants will receive payments that are totally tax-free, all donors are entitled to a donation receipt that will result in a tax credit. What are the advantages and benefits of a Charitable Gift Annuity? Attractive Rates. Mr. and Mrs. Smith, in their mid-70s, are receiving a modest income from their GIC. When the GIC matures in two months, they plan to obtain a gift annuity that will noticeably increase their annual, after-tax income. Gift annuity rates are very attractive for older supporters of the Foundation. Depending on age, rates can vary between 5% and 10%. Many folks in their retirement years will be pleased when they compare their low investment rates with the current annuity rates offered by the Foundation. Tax-Free Payments. Part of each annuity payment is tax-free. For example, Mrs. Blondin, age 79, contributes $30,000 toward a gift annuity. Every year, she will receive $2,510 (8.4 percent), and $2,420 will be realized tax-free. (Depending on age, all or a generous portion of payments will be tax-free). Tax credit. All donors will also receive a donation receipt, entitling them to an income tax credit. Mrs. Blondin, above, receives a donation receipt for $7,500 for her contribution, which will reduce the amount of income tax she pays. Any excess may be carried forward into the next five years. Fixed, Regular Payments. It’s nice to be able to count on a specific amount of payment, no matter what happens to the financial markets. Your annuity payments will not change from year to year. And since gift annuity payments are backed up by the full assets of the Foundation, you have assurance that your cheque will be direct deposited every payment date for the rest of your life. Personal satisfaction. Perhaps the greatest benefit of a PPCLI Foundation Charitable Gift Annuity is the personal fulfillment you receive by helping the Foundation as well as yourself. Your gift annuity assists a worthy cause that makes a difference in the lives of others. Your gift enables us to continue to provide essential programs and activities. There are additional reasons for obtaining a gift annuity with the Foundation. Some like the idea of reducing the size of their estate, thus lowering potential probate costs. 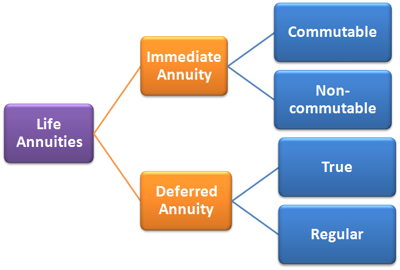 Others like the ease and simplicity of the gift annuity transactions. John S., age 90, contributes $15,000 for a gift annuity with the Foundation. He receives an annuity of $1,500 (10 percent) per year for life, of which 100% is paid out tax-free. He is also entitled to a donation receipt for $ 5,457.60 in the year he makes the gift. Upon his death, the Foundation will receive a substantial portion of John’s original contribution. Sharon and Dan Richards, ages 75 and 79, contribute $50,000 as a gift for the Foundation, and receive $3,504 per year (7.0 percent) for as long as either of them lives. The tax-free portion is $2,825 per year and the donation receipt is $10,000. Their gift will assist the Foundation in providing support for veterans and their families. To arrange your gift annuity, you sign a gift agreement that authorizes the Foundation to use a portion of your contribution to purchase an annuity from a licensed insurance company that pays the amount stipulated in the gift agreement. This is the Foundation’s way of assuring payment to you. Five percent of your contribution is allocated for the present work of the Foundation. The balance of your contribution, retained by the Foundation after purchasing the annuity, will be used as you direct. You may specify whether you wish it to be available for immediate use or invested until it reaches the size of your original contribution. In consultation with us, you may also specify which particular program, activity or project of the Foundation your gift will support. Gifts that meet minimum requirements may be used to build endowed funds which continue to provide support for the Foundation in perpetuity. A representative of the Foundation will be pleased to explain the gift annuity in greater detail and answer your questions. At your request, we will prepare a personalized illustration showing the annuity and tax consequences from whatever contribution you are considering. We encourage you to review the illustration with your own financial and tax advisors, and when you are ready to proceed, we’ll assist you in the arrangements. The gift annuity is your opportunity to make a generous gift to the Foundation and do yourself a favour at the same time!